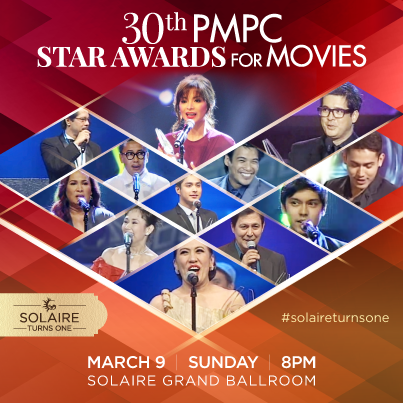 Manila, Philippines - The Philippine Movie Press Club (PMPC) organizers announce the full list of winners and awardees for the 30th Star Awards for Movies held on Sunday, March 9, 2014 at the Solaire Resort Hotel, Paranaque City. This year, the Star Awards for Movies turns 30 and for its Pearl Anniversary, the PMPC Dekada Awards are given to honor the best achievements of some of the industry's notable artists during the last decade (2003 - 2013). PMPC Dekada Awardees list includes Judy Ann Santos, Eugene Domingo, Ai-Ai delas Alas (movie actresses); Aga Muhlach, John Lloyd Cruz, Jericho Rosales, Dennis Trillo, Piolo Pascual, Baron Geisler (movie actors); and Joel Lamangan, Jose Javier Reyes, Maryo J. delos Reyes, Mark Meily, Olivia Lamasan, and Jerrold Tarog (movie directors). 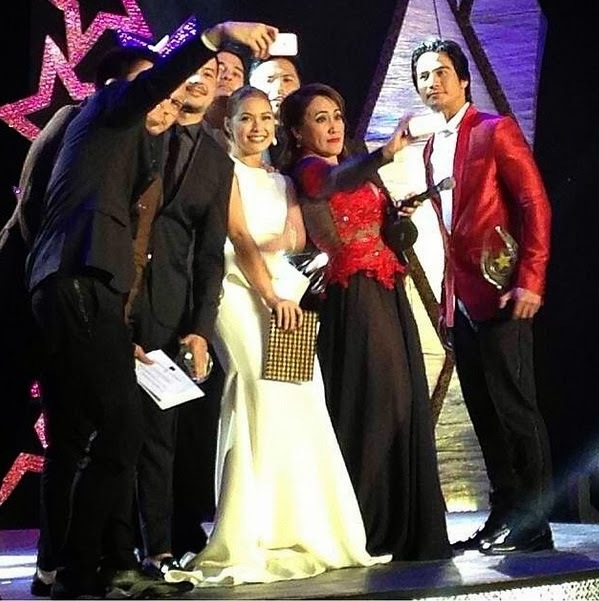 PMPC also hailed big film outfits Star Cinema, Viva Films and Regal Films as the 'Iconic Producers in the country. Kapamilya stars Robi Domingo, Maja Salvador, Toni Gonzaga and Piolo Pascual host this year's PMPC Awards night. Star Awards for Movies event is directed by Al Quinn and led by Ms. Tess Celestino of Airtime Marketing, Inc. The PMPC Star Awards honors the best Filipino movies of 2013 for the mainstream and indie film categories. Telecast of the awards night is on Sunday, March 16 on ABS-CBN's Sunday's Best.